Designed to close Pinch Style bags that incorporate a heat-sealable inner liner. The PILS-200 is a sealing system designed to close Pinch Style bags (stepped-end, multiwall paper with pre-applied adhesive) that incorporate a heat-sealable inner liner. This bag style is the preference of end users who must have a complete, sift-proof closure. The PILS makes two separate, consecutive closures. First, it seals the bag’s inner liner. Second, it reactivates the bag’s pre-applied adhesive area and forms a sealed hot-melt closure. Designed for reliable, versatile, cost-effective operation, the PILS is a valuable addition to any production line. The new PILS-200 features a user-friendly control panel for easy readability, strategically placed for improved ease of use and safety. A complete system readout offers digital temperature and air pressure displays. 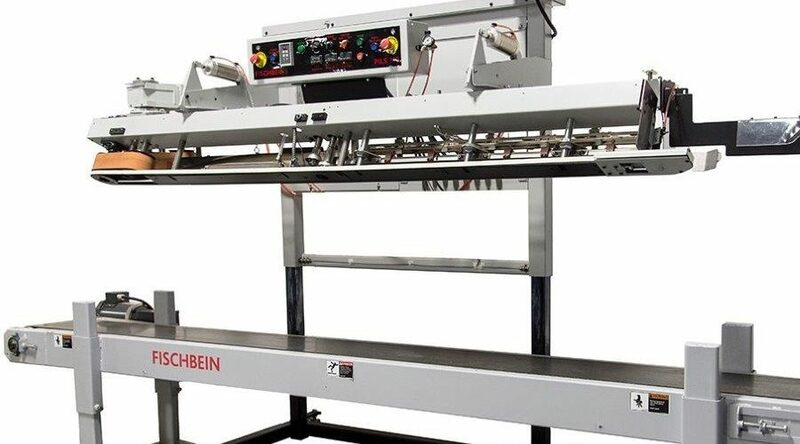 Added features include dual emergency-stop buttons, variable speed drive and electronically adjustable height for convenience.This system also features Fischbein’s unique patented Breakaway design, allowing quick, safe removal of bag jams and easier maintenance.By combining two closing processes in a single compact machine, the PILS saves operator time and floorspace. 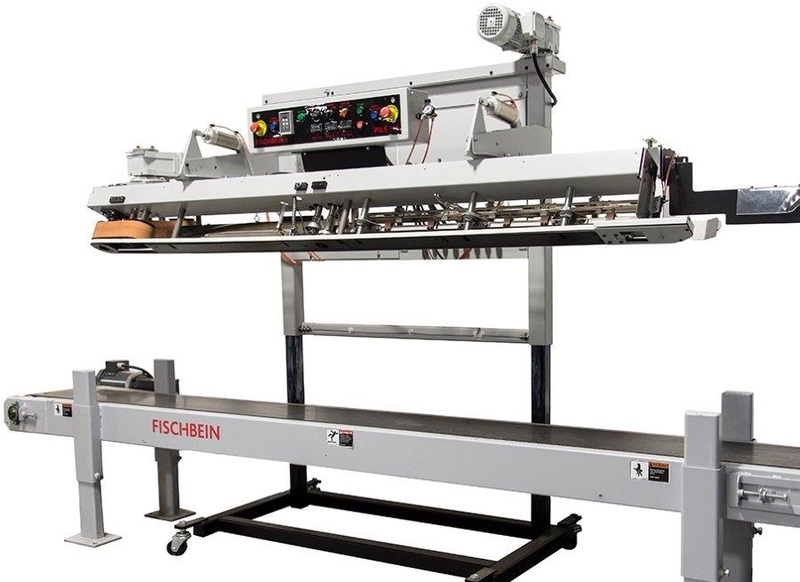 And because it controls the bag-top throughout the entire closing process, it ensures a perfect, durable, sift-proof bag seal.For a seal you can count on, look to Fischbein and the PILS-200.